The Woman in the Green Dress by Tea Cooper is a rich historical fiction novel about the choices we make, and the unimaginable consequences that can unravel for us, and for those who come after us. Spanning across two different timelines, the story is incredibly intricate and detailed, taking the reader on a fascinating journey into Australia’s past. Della Atterton is bereft at the loss of her parents, but she finds consolation in the place she loves most: the Hawkesbury in NSW. Content with the prospect of following in her father’s footsteps and continuing his taxidermy trade, Della has no desire to return to Sydney. But fate has other plans. When Captain Stefan von Richter unexpectedly arrives on a quest to retrieve what could very well be Australia’s first opal, Della is forced to return to Sydney and her Curio Shop of Wonders. Here, she finds her enigmatic Aunt Cordelia, who appears to be selling more than mere curiosities to collectors. Strange things are afoot, and Della suddenly finds herself caught in a web of curious events with unimaginable consequences. London teashop waitress Fleur Richards finds her life suddenly changed when she inherits land and wealth in Australia from her husband, Hugh, tragically killed in the war. Fleur refuses to accept the inheritance. To do so means that she has to truly confront her husband’s death, a reality that she is not yet prepared to face. However when Hugh’s lawyer insists that she accepts the inheritance, Fleur finds herself ensconced in the Berkeley Hotel on Bent Street Sydney with a new identity – that of reluctant owner of a Hawkesbury property and an old curio shop, desolate and boarded up. 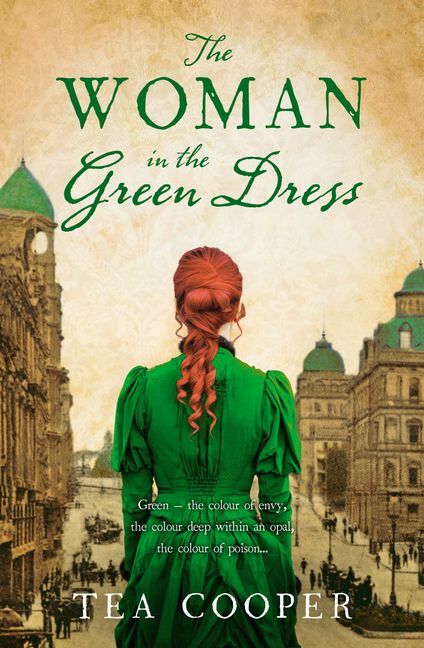 The Woman in the Green Dress is a gripping historical gem from established Australian writer, Tea Cooper, whose clever plot unravels across generations. The author of Australian contemporary as well as historical fiction, Tea has a deft talent for transporting readers to another place and time. Of particular note are the book’s strong and interesting female characters. Overcoming huge obstacles, these women showcase the enduring strength of the female spirit, especially at times in our not so distant past when women’s rights were negligible. With its intriguing plot, rich historical detail, and great characters – I mean, how could you resist an Aunty Cordelia? 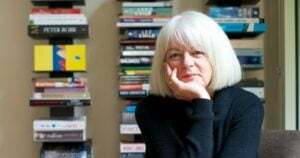 – The Woman in the Green Dress is a fine read, sure to be devoured by those who loved Remarkable Creatures, The Naturalist’s Daughter and The Birdman’s Wife – and all fans of quality fiction.